The most common indoor game is a dart game. It is an awesome way to spend time with family and friends. Soft tip darts have become more popular over the years and they are so common nowadays. 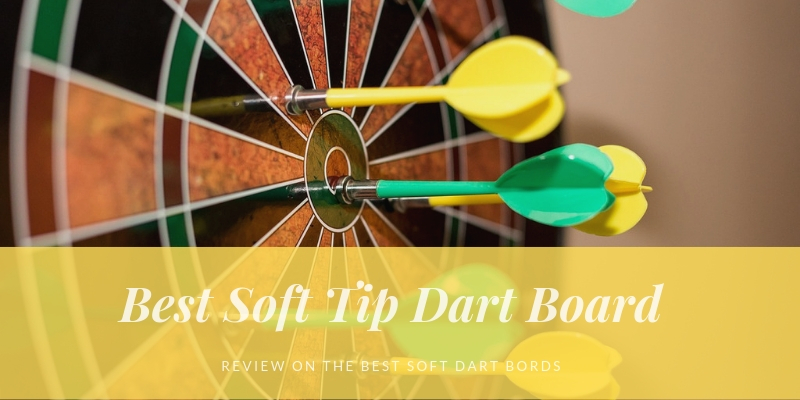 Soft tip darts are mostly used with electronic dart boards because of the plastic end tip that easily lodge into the holes in the electronic dart boards. Soft tip darts are more common because they are also flexible and they are lighter as compared to the steel tip darts; soft tip come in different weights. The best soft tip dart can be made of brass, plastic, silver, nickel, copper and tungsten. Soft tip dart boards come in handy in keeping the game safe especially when it comes to children. The electric board is the best soft tip board because it usually features sounds and lights which makes playing darts more entertaining. Arachnid cricket pro 800 soft tip electronic board is a unique dart board and the best thing about is that I can be used by up to 8 people. This board can be used for competition purposes or by people who want to bond with their loved ones; family or friends. There’s never a dull moment when you are using this dartboard because it has 4 player tri-colors. Who is it for? This is one of the best electronic soft tip boards and it is ideal for family, tournaments, players of every level with the safety measures making it an iconic dart board. Game variations: monotony in any game can kill your passion and that’s why it is important to get a board that has more than one game. With Arachnid cricket pro 800 soft tip electronic board, you are spoilt for choice because it comes with 39 games that have 179 variations. The best part about this soft tip board is that it also comes with 7 cricket games that you can choose from. 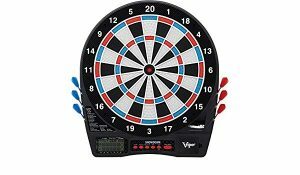 Tournament quality: this soft tip dart board is electronic and it is a quality board. It has a regulation 15.5’’ target area that makes the board a choice for many people. 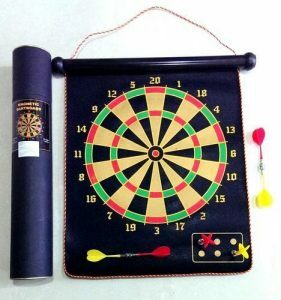 Durable: the material used to make this dart board makes it more playable as well as durable; the nylon used to segment the board is tough enough to withstand all the tear and wear. 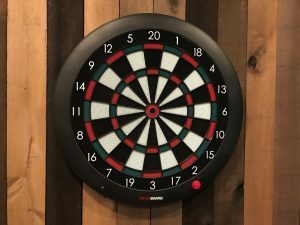 Reduce bounce outs: when the dart board does not hold the darts, it can be quite frustrating and that’s why this board has been made to reduce the bounce outs. The bounces out rates have been reduced by having micro-thin segment dividers being included in the dart board. Few bounce out rates ensures that you get to enjoy the rhythm when you are playing. Multi-player: the best thing about Arachnid cricket pro 800 soft tip electronic boards is that it has a LED color design; the dart board can accommodate 8 players. A multi-player offer helps in creating a healthy competition for everyone while still making the game fun. LED: The LED display shows the modern plan of incorporating the old dart game with the latest technology. Observing the aesthetic appeal of the unique game is just so satisfying. A simple game of darts is exactly what you need when you are relaxing or bonding with your friends or family over beer. The game might look and sound simple but it requires a certain level of expertise. It requires pin point accuracy which is very elusive especially when you are drunk. Now that’s the fun part, trying to aim at a dartboard when all your coordination, stability and accuracy are similar to that of kid. The best thing about playing dart boards at home is that it requires very little space and has an excellent quality build. It’s is also user friendly and has a very intuitive user interface. The Gran Board 2 has Bluetooth compatibility which allows you to connect it to your smart TV or smartphone. Like earlier mentioned, the Gran Board 2 is compatible with smart Televisions, Android and iOS. Android users can download the gaming app from Google App Store. It takes a minute or two to set up and sync with your electronic dartboard. Once you have set up the connection, you can play against the computer, other players or a good ol’ video conferencing while playing. The Gran board 2 is powered by 2 AA batteries which means you can set it up just anywhere you like. You can carry it on your road trips or camping trips. The batteries can easily be swapped for new ones once they run out of power. The Gran board was designed with gamers in mind, it’s easy to use even for kids (12 years and above). Anyone can play the game of darts using the Gran board 2. The Fat Cat Electronx is a product of Fat Cat a company that’s famed for building the best soft tip dartboards. The world is changing and gravitating towards tech-enhanced products and the dart gamers have not been left behind. A typical electronic dartboard has the same design as the classic dartboard design but instead of a smooth playing surface, the electronic dartboard has thousands of tiny holes. The board is connected to an automatic recording system that records every time you throw a dart and it enters into one of the many holes. The Electronx soft tip dartboard incorporates an intelligent design and durable thermoplastic segments that can withstand years play. It also has a very thin spider which allows for a much tighter shot grouping. In addition to that, the soft tip has a 360 landing zone for missed shots which reduces bounce-outs while increasing the ratio of landed shots. The Game interface has 11 silver buttons that are easy to access thus making game setting selection easy. The Electronx offers a wide range of game options. There are up to 38 games, 167 options and can support a maximum of 8 players. If you prefer playing solo you test your skill against a computer with 5 skill levels. The set up process of the electronx is seamless since the control panel is easy to navigate. On top that, the Electronx is fitted with scoring displays and indicator lights. The scoring panel has a backlit display that makes it easy for players to view their scores from as far as the view line. Owning such a fine piece of gaming equipment is every dart gamers dream. It’s a friendly game that all your family is likely to enjoy playing. It’s easy to install, navigate and set up. Is there a better way to spend time with family and friends than when playing a competitive game such as dartboard? The BetterLine is a 15-inch dartboard that’s great for family gatherings, office use and kids play. It’s overflowing with safety features and helps nurture dart game skills. Although are often viewed as adult games, the Betterline Soft tip dartboard is designed for all gamers irrespective of age. It’s the best game to help your family bond and spark new memories. It’s packed with tons of features for kids and adults as well as safety features to ensure that the fun times go on uninterrupted. The Betterline dartboard is one of the sturdiest dart boards we’ve come across. It’s designed using a polypropylene material – a material that can withstand years of playing darts. The quality material ensures that there is continuous flow of fun even as you play with kids, friends or family. Once you’ve purchased one of the best soft tip dart board, you don’t have to worry of accessories such as tip darts. It comes with 6 soft tip darts and an extra 6 tips. In addition, you also get an informative guidebook that has everything you need to know about the BetterLine soft tip dart board. This soft tip dartboard is ideal for newbies, kids and family use as it has numerous safety features and encourages sportsmanship. This 16-inch stipple dartboard has six safety soft tip darts which ensure that the body does not experience damage while playing. The safety tip darts also limit the damage to other objects at home or in the office. It’s the perfect birthday gift for a work colleague or friend as it helps improve social skills, concentration and coordination. The Piero Lorenzo has two mounting options: you can either use the brackets or the nail mounting system. You can place it on a table or hang the dartboard on a wall. With so many options on the mounting method, you get to explore the various ways you can enjoy the game. Playing can be a dangerous game especially when played by kids, this is why extra safety measures come in handy. The Piero Lorenzo comes with safety tip darts which possible for you to play even with little kids around you. This dartboard allows you to enjoy your game of darts while keeping your kids safe. The beauty of playing a game of darts with the Piero Lorenzo is the safety features and mounting options. You get to explore and understand how the game is played. The Viper Electronic Dartboard is built for professionals as it comes with 32 built-in games and 590 variations. If perfection is what you are looking for, the Viper Showdown Dartboard is might be the answer. It has an ultra-thin spider, stylish face color, tournament quality resin segment, concave whole segment, regulation size target area and bright LCD. This combination makes it one of the best soft tip dart board on the market. This dartboard is constructed using tournament quality resin segment and polypropylene for durability. This ensures that can withstand years of both casual play and competitive practices. When playing a game of darts the most annoying thing is always bounce outs as it has an effect on the scores. Luckily, the Viper Showdown has an ultra-thin spider that greatly reduces bounce outs which in turn maximizes your scoring potential. The LCD display never fails to impress and the stylish color and bright display will keep your eyes on the prize. The LCD display provides a breakdown of scores and statistics as a way of pushing you to keep trying. 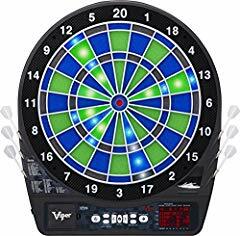 Once you’ve purchased the Viper Showdown you have everything you need to set up a game of darts. It comes with two sets of soft-tip darts and extra dart points just in case you need to change the dart tips. You are also provided the mounting hardware. 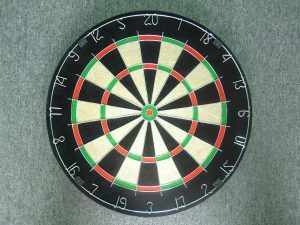 When shopping for the best soft tip dart board, display is one of the most important features to look for. You should also consider how readable the display is. Other thing you should consider is the size of the board. Display size is not very important but you should make sure the screen pixels are understandable otherwise if the pixels are not clear, then you should move on to the next board. The best soft tip dart board is the one that has a variety of games. A dart board with different types of games is fancy and it ensures that people have options to choose from. 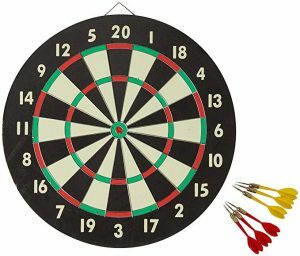 Different models of dart boards offer different number of games. When picking one, pick the one that has the most games but also make sure you pick one that doesn’t need you to rob the bank. Different models of soft dart boards accommodate different number of players. Some of them accommodate 8 players while others accommodate 16 players. The number increases according to the price of the board as well as the model. Buy your dart board according to the number of friends of family members you plan on having when playing the game. The target surface as well as the outer surface is two very important things that you should look for before picking that dart board. The 15.5’’ surface is the most common dart board but you can also get smaller or larger ones depending on your needs. 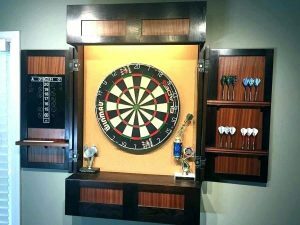 The size of the space you are planning to use to place the dart board should be your determining factor on the size of the dart board you should buy. The smaller dart boards are mostly used by the professionals since they have perfected the art of shooting. The larger ones are a reserve for beginners and middle players who are yet to master the game because we all know that throwing darts on the smaller dart boards can be quite hard. Price is the ultimate factor you should consider before buying a soft tip dart board. You can love everything else about the dart board that you have picked but if you don’t have enough money, you cannot take it home. They might not cost a fortune but they also don’t cheap. Therefore, while picking the dart board, you should pay attention to the price against the features and the quality of the dart game. The more features it has, the more the cost. If you pay more, there’s a possibility that you’ll get to pay more for the same. Luckily there are many features that are common to almost all electric dart boards. Some companies give free steel tip darts or soft tip darts or sometimes both of them. The tips and the manuals come together with the adapter while at other times the adapters are sold separately. However, adapters are sold separately is the boards canal so be run using batteries. Bristle dart boards are mostly suitable for professionals although beginners can also buy them. They are however mostly used for big games or for practice by the professional dart players. These boards have the best and the most durable surfaces. These darts are easy to read; the materials used to make them ensure that the dart board has a longer life. Customized dart boards are not exactly a type of the dart board. They are just an option for you to customize your dart game to suit the environment where you plan to play the game for example your house color. You can get a few stores online that make the best soft dirt boards according to your specifications. Other things that can be engraved on your customized soft tip dart boards are logos, mascots, the teams’ logo or just someone’s picture. From the name, this magnetic soft tip dart board is built with magnets. These dart boards have been made for beginners as well as for darts that don’t have pointed tips but rather have magnets attached to them. The best thing about these magnetic soft tip darts is the fact that they are easy to carry around and they are quite safe in that there are no sharp tips that could turn fatal if left with the kids. The best thing about dart boards is that they are common and they take little space in the house and most of them are hung on the walls anyway. The other thing about these electric soft tip dart boards is they come with extra surface that ensures the darts don’t poke holes on your walls. 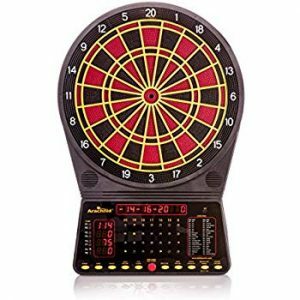 These electronic dart boards have become a darling for people in the entertainment industry because of all the versatility that comes with them. They also tend to be better and more affordable as compared to other dart boards. The icing on the cake is that they are in more convenient in sizes which is a plus because we are all looking for ways to save space in our work places or in the house.